As part of the lead-up to FID, an EPEn team of specialists performed an independent peer review of IOG’s Blythe, Elgood and Southwark developments in the UK southern North Sea. The development of these three fields will help towards meeting the UK Government’s stated policy of maximising benefit from the UK’s oil and gas assets. The scope comprises subsea wells and tie-backs, infield flowlines, two offshore platforms, the re-instatement of a previously decommissioned 24” Thames multiphase export pipeline (PL 370) to shore and onshore processing through existing facilities. The project scope is significant in extent, with opportunities for future expansion throughout and will be executed as a lean and agile development including the re-use existing export pipelines which is a first for the UK. EPEn’s Independent Peer Review consisted of a preparation and gap-analysis stage, pre-peer review individual discipline meetings in advance of the workshop and an intense 2-day integrated peer review workshop. The draft report with observations, findings and recommendations was delivered some three days later. In consultation with the client, the peer review focus areas were: subsurface; drilling and completions; facilities and flow assurance; HSE, regulatory and risk; schedule and cost; operations and maintenance; supply chain and finally execute phase activity planning. Ineos Oil & Gas Denmark is currently considering the Optimum Concept for the joint field development of the Hejre HPHT field and the Solsort Oil field, in the North Sea. EPEn is modelling the three most promising development options and computing the Production Efficiency of the three system layouts. The result of the Production Efficiency will be one of the criteria for selecting the best concept to take forward to the next project phase. The Rosebank Development Project in Block 213 is located in 1,200 meters of water in the harsh environmental conditions West of Shetland. Rosebank has proven reserves of some 250 million boe. The Rosebank field will be developed by a FPSO and associated riser system. Oil will be exported via CALM Buoy and shuttle tanker and the sweet gas will be exported via a 220km 24" gas export pipeline tying into the new Shetland Islands Regional Gas Export (SIRGE) pipeline which ties-into the Frigg UK A pipeline (FUKA). EPConsult Energies (EPEn) was selected to prepare a Shipping Risk Assessment for the Rosebank Gas Export Pipeline (GEP), to be performed in parallel with the Pipeline FEED Engineering, performed by JP Kenny. The quantitative risk analysis (QRA) for the gas export pipeline due to shipping hazards was performed on the basis of a hazard identification study (HAZID). Credible shipping hazards included sinking ships, dragging anchors and dropped objects were studied in detail. The base risk assessment was established along the full length of the pipeline including the pipeline end terminations (PLET) and tie-in spools. Where risks were found to exceed the risk acceptance criteria, risk reduction measures (RRM) were identified and, where practical, recommended for implementation to ensure that the risks were reduced to as low as reasonably practicable (ALARP). Sensitivity analyses were performed in order to study the effects of increased shipping in and around the area of the GEP. EPConsult Energies has provided Principal Consultants to supplement the company review team in the performance of a PEER Review in order to assess the readiness of the Knightsbridge project for sanction. The scope of the review was to establish the maturity of the project work and review the project teams categorisation of the accuracy of the scope, estimate and schedule along with the perceived risks to carry into full execution. Also, to identify any gaps in the work performed and any opportunities for improvement. Noreco is a majority partner in the Siri Fairway production facilities in the Danish sector of the North Sea. EPConsult Energies was commissioned to perform an independent OPEX Review of the facility. A small team of industry experts was engaged to perform the review which comprised an assessment of maintenance management systems, including RBI and RCM and studying the build-up of OPEX from organisational and operational activities. The project involved detailed review of the facilities comprising platforms, pipelines and subsea facilities. The study has been summarised in a report making recommendation on how to improve organisation, activities and resources around integrity management, in order to improve efficiency and reduce OPEX. In progressing the Ettrick Hot-tap project to the SAGE pipeline, Mobil North Sea commissioned EPConsult Energies to perform Assurance Engineering for Hot-tap valves. The work involved securing adequacy of the valves delivery and integration to the project. This involved a comprehensive quality assurance programme and a Failure Modes and Effect Analysis (FMEA), to ascertain the quality of the ultimate delivery. Maersk Oil is studying the opportunity of implementing an EOR project by making use of CO2 to drive hydrocarbons for enhanced oil recovery. EPConsult Energies was commissioned to perform safety and risk assessment studies for the project. 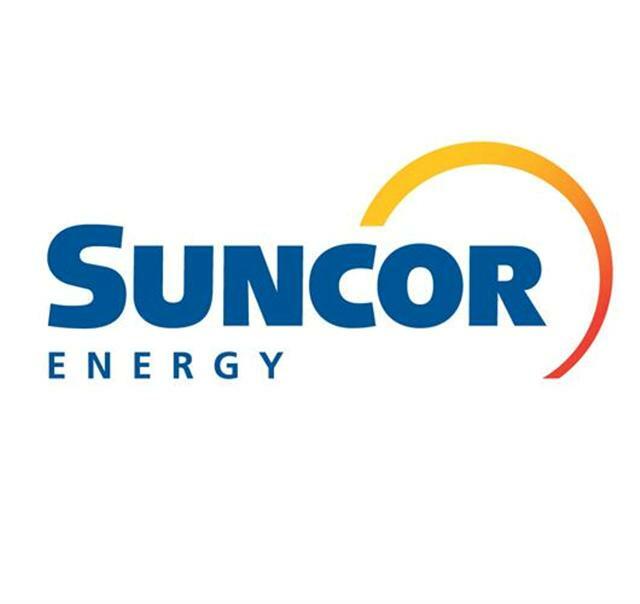 Suncor Energy in the UK commissioned EPConsult Energies to perform a Feasibility Study for block 15/18a in the UK North Sea. The feasibility study comprised determination of the optimum host facility for well fluids along with an optional facilities concept for these two discoveries. A Value of Information exercise was conducted to determine if an appraisal well was justified on the second discovery. The study included preparation of a development design, development schedule and CAPEX for the development, alongside a risk register. The Kristin Field in the Norwegian North Sea is a HP-HT field. EPConsult Energies was commissioned to perform a Safety Analysis Report of the high integrity pressure protection system (HIPPS). This involved a comprehensive analysis of the HIPPS system including interfacing with hardware suppliers. The analysis involved preparation of FMECA and FTA, SIL Assessment and performing reliability analysis to demonstrate attainment of SIL 3 for the this first HP-HT subsea HIPPS system.